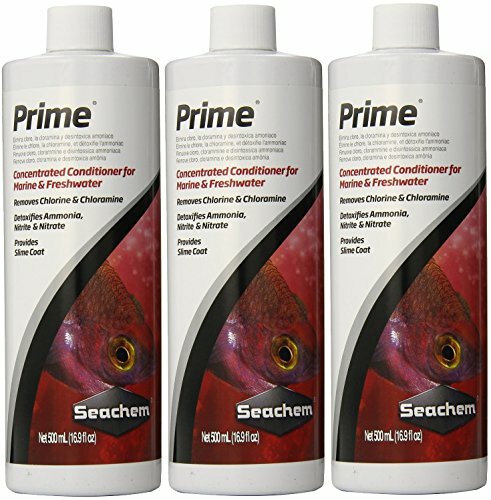 Water Quality – Conditioner and a good filter! There are multiple challenges in breeding the Flowerhorn cichlid. We are going to cover a few of these challenges and offer a few different suggestions and tips to be successful. Since the Flowerhorn is derived from the Red Devil, Trimac and Blood Parrots, naturally they are aggressive. Put two in one aquarium and they will fight each other often to death. This is where one of the problems arises, male and female Flowerhorn have the tendency to kill each other. This gets in the way of their reproduction. Other key challenges to breeding your Flowerhorns are genetics, males are often unable to fertilize eggs and females are often unable to lay eggs. Generally, male Flowerhorn have a bigger nuchal hump than a female Flowerhorn. However, the size of the head depends on its gene. There are males which don’t have a large hump or Kok. Unlike many other cichlid species, females can grow nuchal humps. Because of the genes of the Flowerhorn, they are one of the most difficult cichlids to differentiate the sexes. Truthfully the best method to determine the gender of the fish is through venting. The venting process consists of handling the fish and looking at its underside. A female fish will show a circular area with an opening whereas the male fish will show a triangular area with a small spout. Since the Flowerhorn is a crossbred species, most of the males are not fertile and do not have the ability to reproduce. This poses another challenge to breeders, although not a complete a deal killer in the breeding process but it does create an issue spending more time finding a fertile male. The best way to find out if your male Flowerhorn is fertile is to wait for the fish to be sexually mature. This normally takes eight months. Sometimes breeders still have difficulty determining if the male Flowerhorn is fertile at this stage. You never really know until you have two fish that mate and if you have success or not. Luckily, female Flowerhorns are the opposite they have a high fertility rate. Some breeders recommend discontinuing the use of food with color enhancers when breeding Flowerhorns because some have found out that foods with color enhancers affect the breeding process. Therefore use discretion in your fishes diet when breeding. As a species, Flowerhorns can be very selective when it comes to their partner. You can take a female and a male specimen and put them in the tank, and they might show aggressiveness at each other. Sometimes though you get fortunate and the pair can hit it off and get along right away. But sometimes they appear to be getting along and overnight end up fighting. This is why breeders put the female Flowerhorn with the male Flowerhorn when the female is about to lay her eggs and have previously already shown signals of breeding. A way to kind of skip a lot of torn fins and other injuries place the two fish in one tank about the size of 40-55 gallon. Then place a divider to keep the fish from making contact, keep a close eye on the pair and watch for breeding signs. Female Flowerhorn likes to lay eggs on a flat surface this is why you need to put a rock or a clay dish on her side of the tank. Some breeders like to put the rock or the clay dish on male’s side of the tank and allow the fish to interact for a few hours a day them separate them during times where you can’t easily interfere. Another effective trick to protect the fish from each other is to put a hole on the divider only big enough for the female fish to pass through and hide. 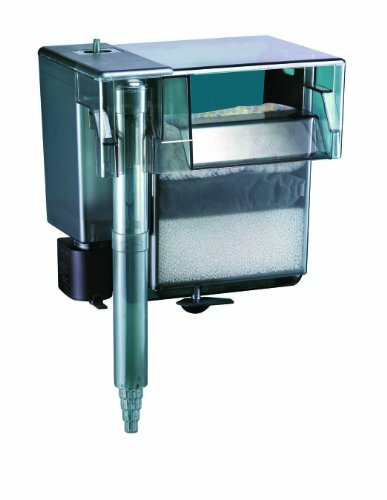 Protect Your Fish – Have a divider on hand! 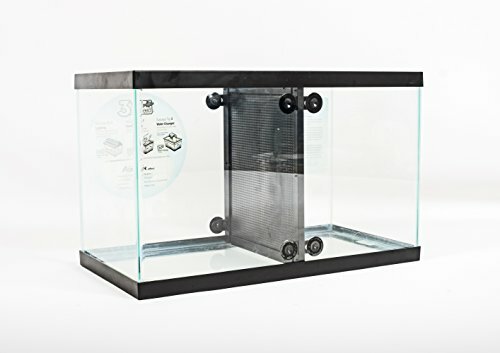 Fin Friends 29 or 55 Gallon Aqarium Divider with Suction Cups (29 or 55 Gallon) 12.5" X 18.75" Please Measure Your Tank Before Purchasing. 29 OR 55 gallon fish tank divider. Approx 12.5in x 18.75in. Please measure your tank before purchasing to make sure these dimensions will fit your tank. If your tank is wider than 12.5in or shorter than 18.75in then this divider will not fit. When the female Flowerhorn is about to lay her eggs, its sexual organ will come out. It looks like a tube with about 3-5 millimeter length. Her color also intensifies. If the female is showing these signs, she is ready to lay her eggs. Provide An Egg Laying Surface – Have a Smooth Flat Surface in the Aquarium! 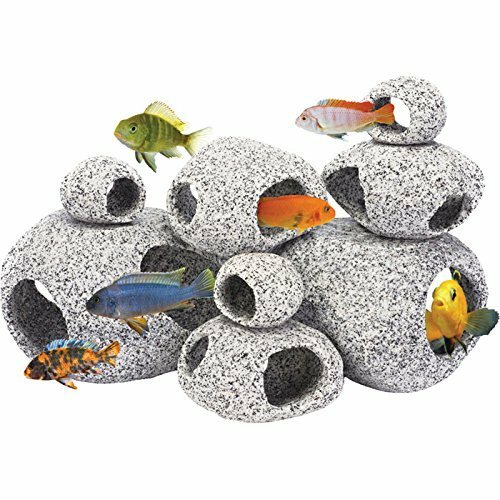 The female will lay her eggs on a flat surface, if you have not placed a rock or a clay dish, the female fish will lay her eggs on the aquarium. Eggs normally come out, 10 to 20 at a time. If they are not fertilized the eggs will turn white after 12-24 hours. And if they are fertilized the eggs will develop after 72 hours. Both male and female will be very susceptible to sickness or bacterial infection after spawning. You will also notice that the Kok of the male Flowerhorn will decrease in size. The intensity of the female’s color will also fade and she will go back to her usual coloration. 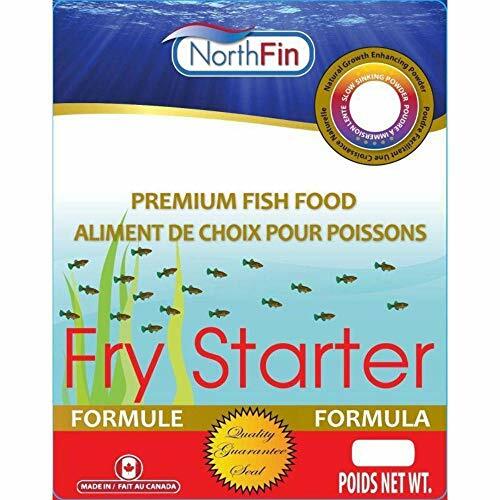 This is the perfect time to start feeding your fish with highly nutritious food such as frozen bloodworms, or live bloodworms at this stage. A day after fertilization, the male and female Flowerhorn can be taken out of the breeding tank and put into their own tanks. feeding Flowerhorn fry the proper food is important! As observed, black spots will develop on the outer shield of the fertilized eggs after 36 hours. The tails of the fry will start to show up after 48 hours. Then a few hours after, the eyes of the fry will start to develop. The fry will completely develop outside of the eggs after about 72 hours. It normally takes two to three days for the Flowerhorn eggs to hatch. Four days after they hatch, some fry can already swim freely on their own. Some of them might even start to look for their own food after six days. Breeding two fish is a natural process, but it requires quite a bit of patience, especially when pairing your male and female Flowerhorn. But remember to follow the steps – take good care of both fish and keep them apart until they are ready to reproduce, create an ideal environment for them to breed, be patient in testing the fertility of the male Flowerhorn, protect both fish from each other, build an ideal place for the female to lay the eggs, take care of the fry see to it that they can mature into beautiful Flowerhorns that new hobbyist can enjoy. Once you have gone through the breeding process a few times you’ll notice certain details and make your own adjustments.